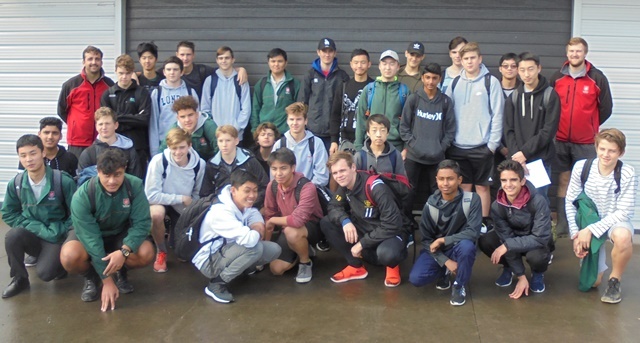 Westlake Boys High School on Auckland’s North Shore is one of New Zealand’s largest schools and for the past few years, Westlake Boys students have been visiting CUE Haven both to help out with our restoration project and to supplement their classroom work with field studies. 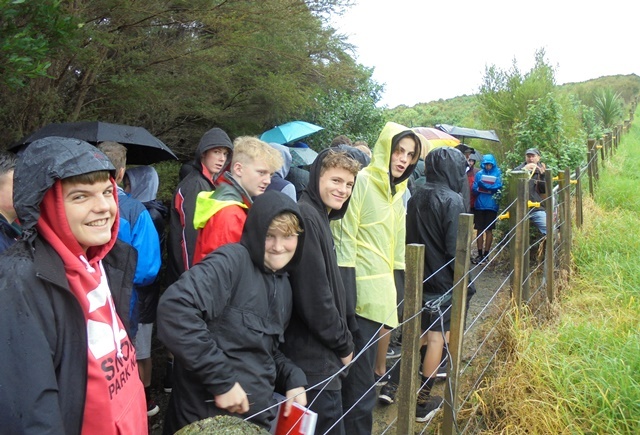 Again this year, Year 11 geography students are studying the Kaipara Harbour and how human activity can affect it. 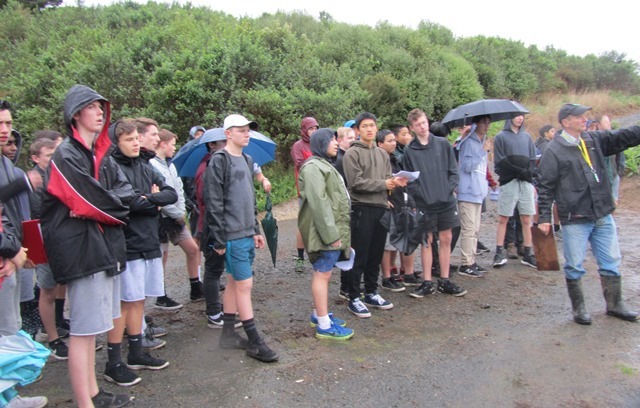 To help the students gain a better appreciation of the extent of the harbour and the activities taking place in the area, the head of the geography department, Andy Jones, organized a field trip to the Kaipara for the students. The visit was scheduled over two days with two classes attending one day and the other two coming the following day. 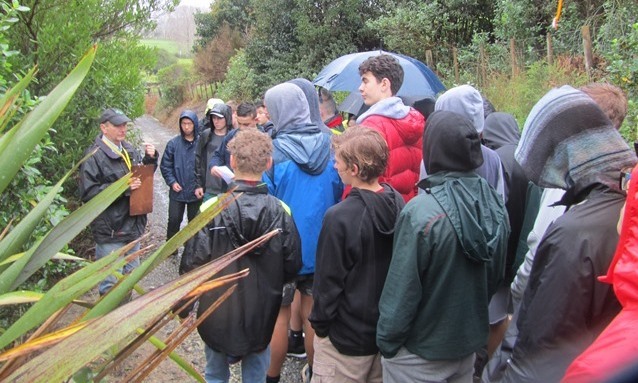 Each day the classes took turns visiting two venues–Muriwai Valley Farm, a sustainable farm operated by Bev Trowbridge and her husband, and CUE Haven. 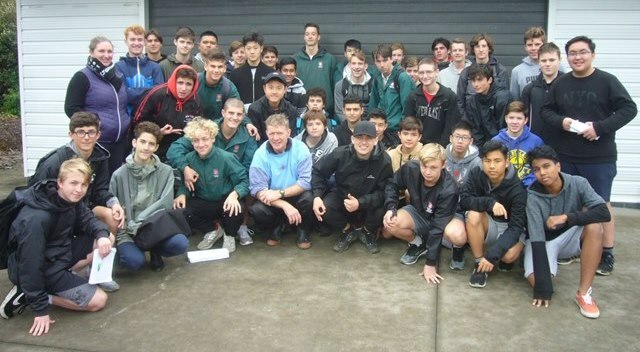 Over the two days we had a total of 179 students accompanied by teachers Andrew Clarke, Andy Jones, Ash James, Brad Coetzee, John Foden, Jordon Stanley, Maeve Learmouth and Michael Tillett. 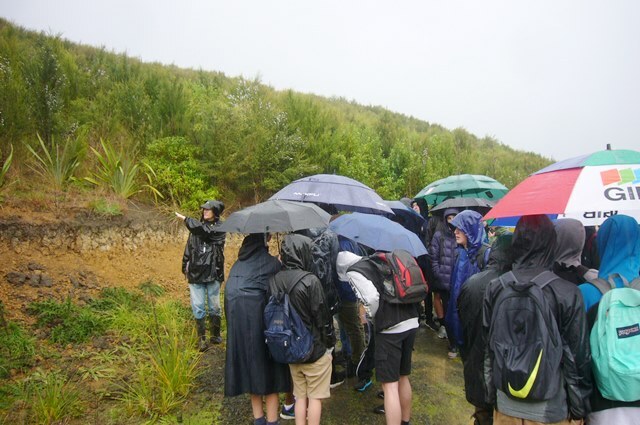 The weather was unusually cold and wet and each group had to deal with showers. 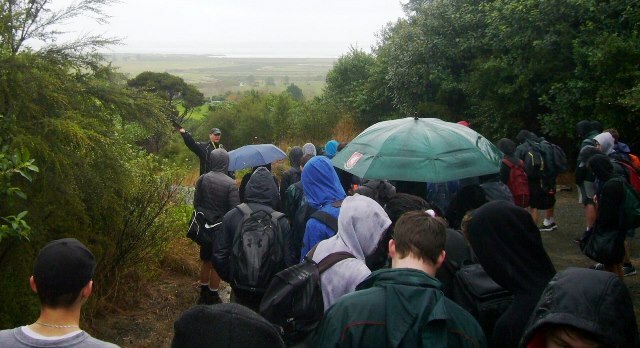 It was raining so hard when the last class came on Wednesday afternoon, that we didn’t even get a group photo! 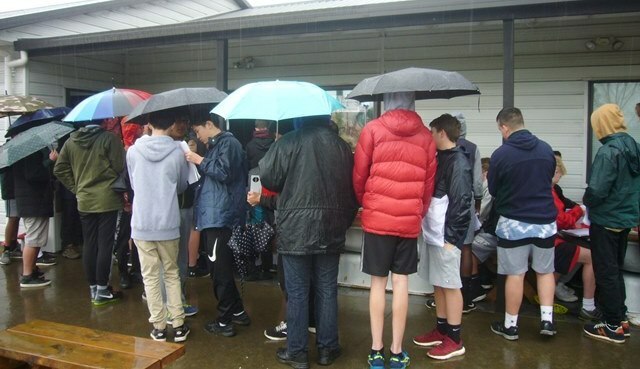 And the hot chocolate generously provided by Nestle NZ was much appreciated. Thanks Nestle. 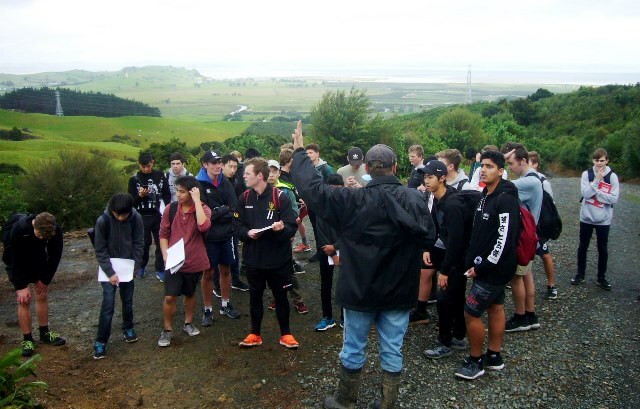 The students’ assignment is to gain an understanding of how different types of land use in the region affect the Kaipara Harbour. Some of the issues are loss of habitat for snapper, seabed sedimentation and erosion. 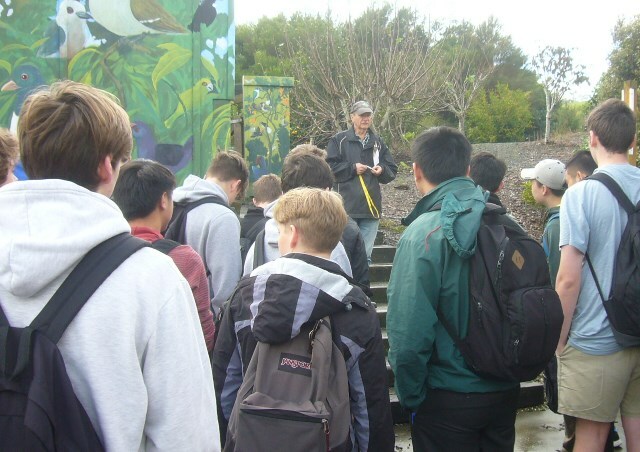 The visit was an opportunity for the students to see first hand how land use directly affects the Harbour and see some of the tradeoffs involved in improving water quality. Mahrukh started each session with some background information on CUE Haven and talked briefly about how the planting had affected water quality, erosion and land stability. 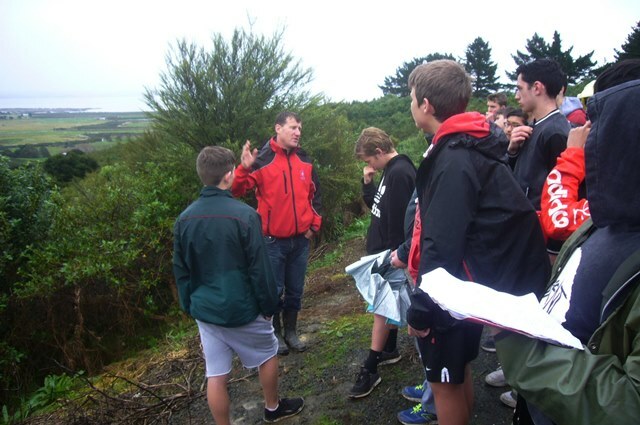 Thomas then took the students for a walk in the bush to show them specific examples of how the restoration project had affected the land and how it was affecting our waterways and, ultimately the Kaipara Harbour. They started with a safety briefing. 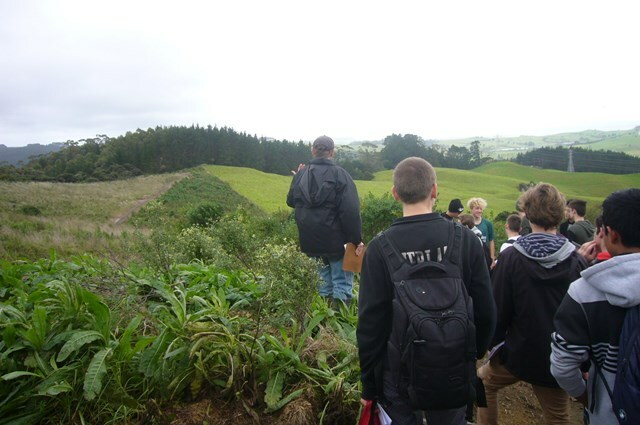 The students saw some of the oldest and newest plantings and were able to compare them to the neighbours’ paddocks which are still being grazed. Thomas explained that changing land use alters the way water behaves, mainly by affecting the direction and speed of flow. He pointed out that removing the forest canopy increases the peak flow of water and how the water flow from the open paddocks on the neighbouring properties had contributed to a land slip at CUE Haven. 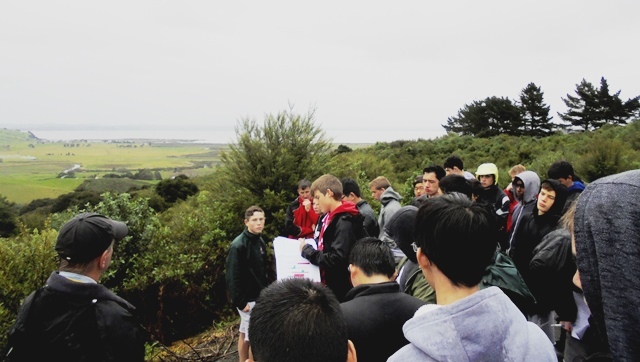 We then walked to the area where the slip occurred in 2016 so the students could see the cause and effect of the slip and how remedial plantings were now helping to stabilize the land. 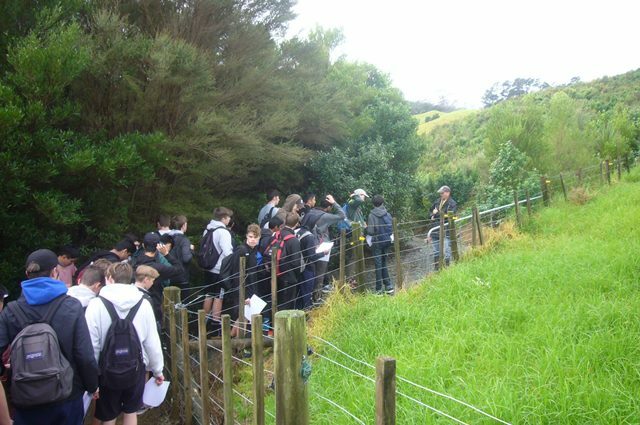 The students then had a look at where the CUE Haven stream flows into the wetlands and learned about how planting had affected the water flows from the top of the property, making the stream less flood prone and also how the health of the wetlands had improved due to less flooding and erosion. 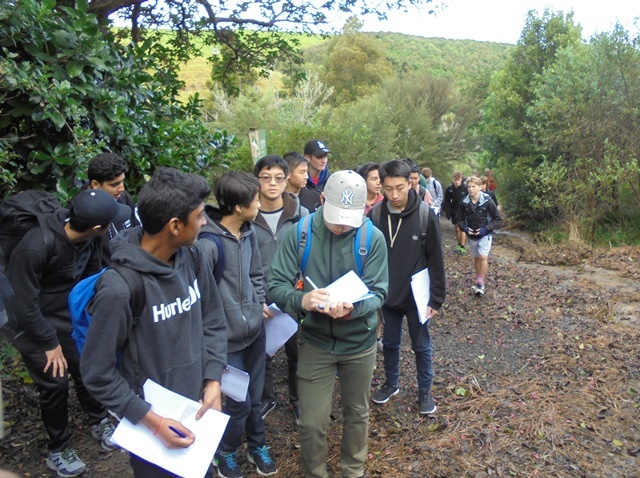 The students also visited an old puriri tree which has recovered from years of possum browsing (thanks to our pest control efforts), and saw how the health of the tree was having a positive impact on other plants and animals. 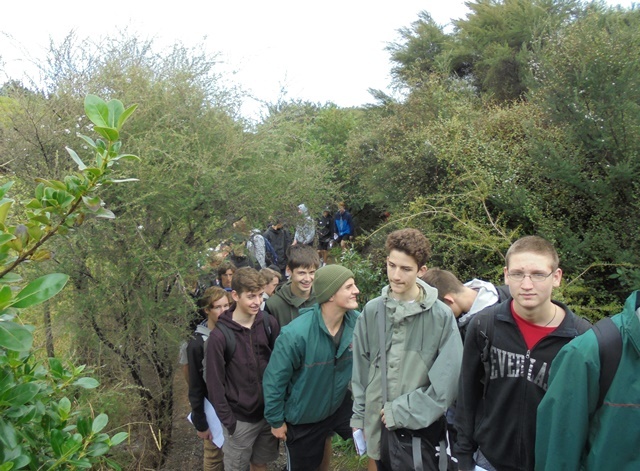 As we headed up to the top of the property, the students got a chance to see different types of vegetation and landscapes. 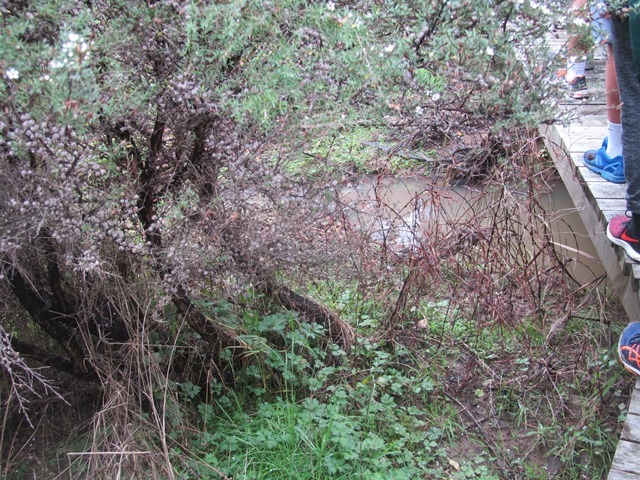 We visited a place on the CUE Haven stream to see evidence of some of the earliest land use by humans in the area. 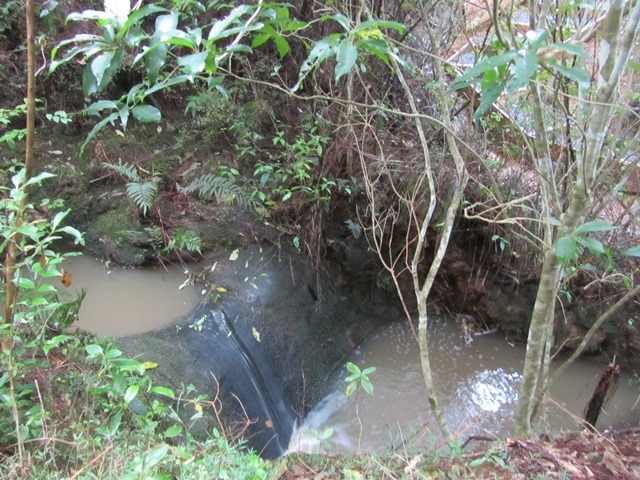 Early Maori settlers created pools in the bed rock along the stream to store fish in summer when the stream level is low. 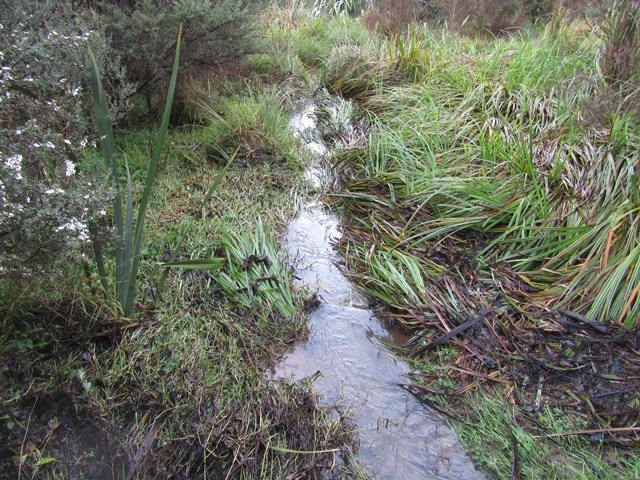 Thanks to the restoration efforts, the stream is once again healthy and home to kokopu, inanga, koura and many macroinvertebrates. 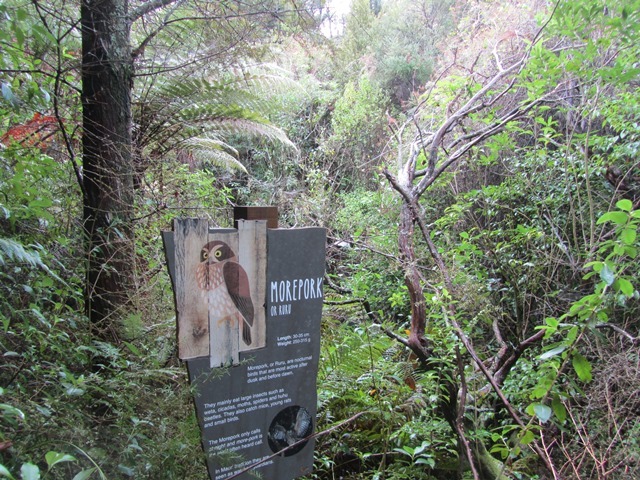 The students also got a chance to see and hear some of the bird life that is returning to CUE Haven. 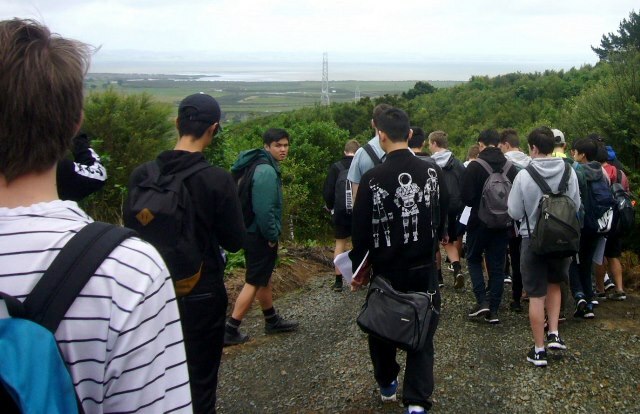 Once near the top of the property, the students had a good look at the Kaipara Harbour. 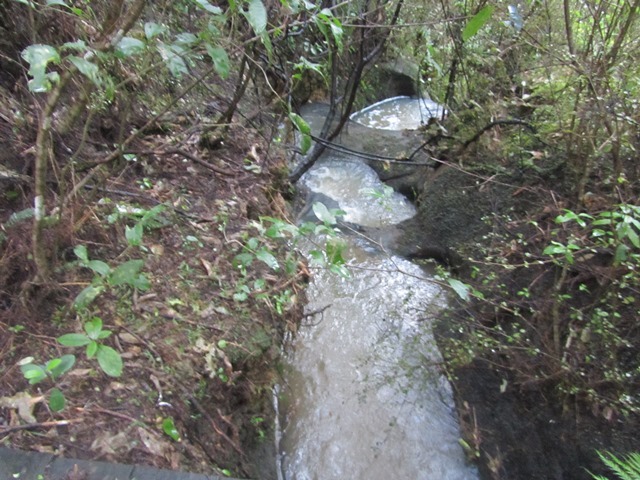 They were able to see how the CUE Haven stream feeds the Araparera River and in turn the Harbour. And were able to see a variety of land uses—farming, forestry, restoration and residential and discuss how those different activities affect the health of the Harbour. The students took notes and made sketch maps and the teachers also took the opportunity to review aspects of the assignment and how the CUE Haven visit related to the assignment. We then headed back down hill. 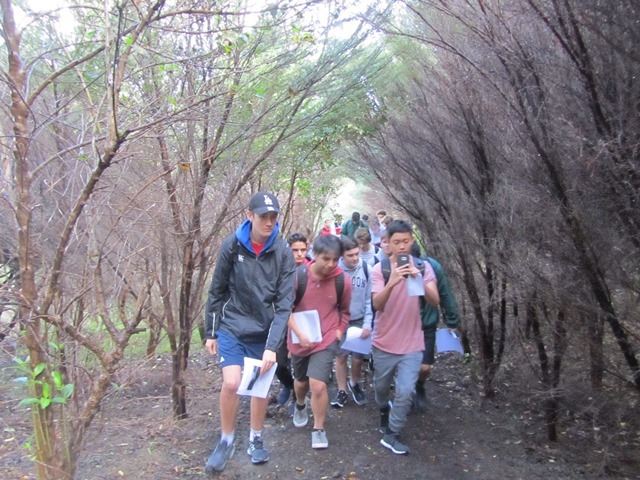 And finished off with a walk through the wetlands so the students could see how planting improved water quality and reduced runoff and sediment. Once back at the cottage, the students had the opportunity to ask any questions about what they had heard and seen during the visit. 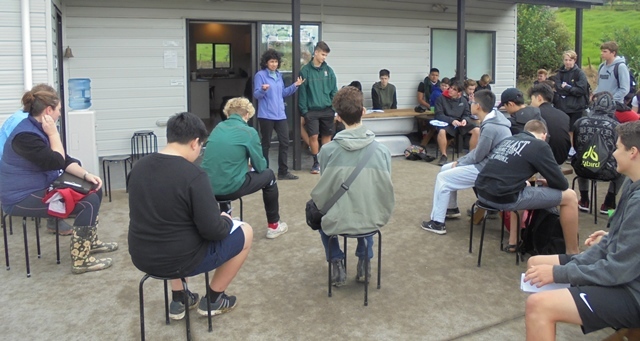 We have always hoped that CUE Haven will become an environmental education resource for the community and we are very happy to have schools like Westlake Boys use the space for learning. 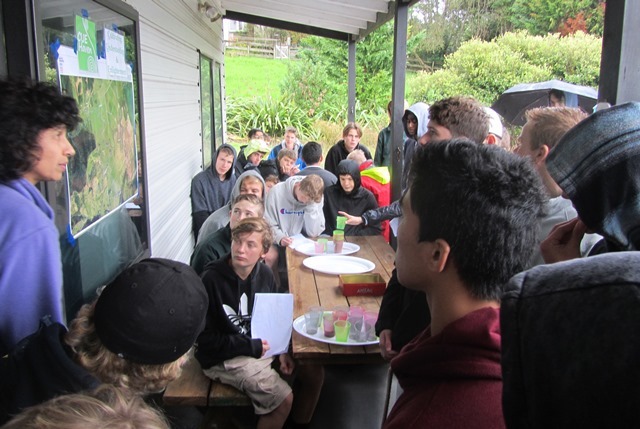 We really enjoyed hosting the students and sharing information about the restoration of CUE Haven and its positive effects on the water quality of the Kaipara Harbour. We want to thank Andy for arranging the sessions and sorting all the complicated transportation requirements! Everything went perfectly as far as timing. And a big thank you to all the teachers for their valuable assistance. Lastly, many thanks to the students for their time and attention. 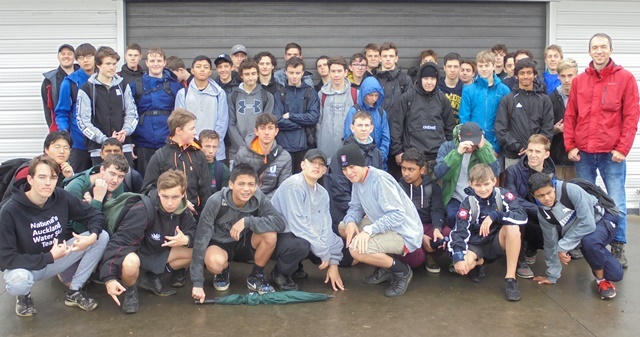 The weather made things a little messy and challenging but everyone coped well and we hope you found the visit helpful. We wish you all the best with your assignment and further studies and hope you will come back to CUE Haven for a leisurely visit to explore and enjoy more of the property.